Thor: Ragnarok is Marvel’s Recent Release & Sequel of Thor Movie. CraftyApes, Digital Domain, Double Negative, Exceptional Minds, Fin Design & Effects, Framestore, Iloura, Image Engine Design, ILM, Luma Pictures, Method Studios, Perception, Rising Sun Pictures, Rodeo FX, Secret Lab, Technicolor, Trixter & Whiskytree Studios worked on VFX for the Movie. Rising Sun Pictures worked on more than 170 VFX shots for the movie. 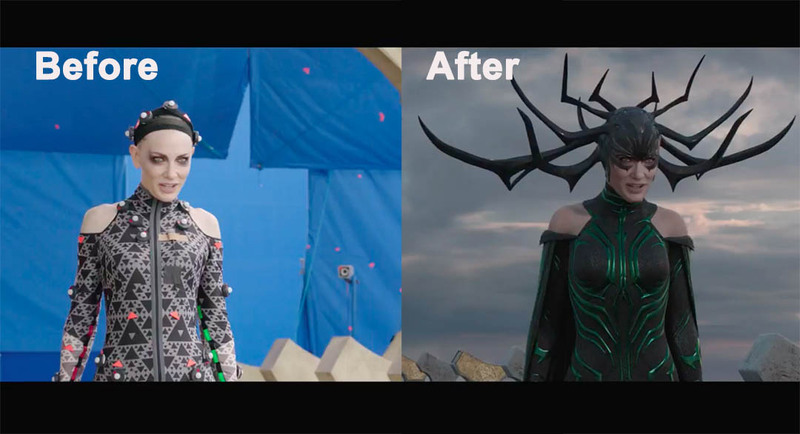 Framestore delivered 459 VFX shots for Thor: Ragnarok. Luma Pictures worked on around 200 shots for the movie. Method Studios worked on more than 450 shots for the movie. Double Negative worked on more than 120 shots for the movie. Framestore reunited with Marvel Studios to deliver the climactic final act of Thor: Ragnarok, producing 459 shots of heavy-duty VFX and a host of fully-CG characters. Framestore team constructed an entirely CG Asgard environment containing over 9,000 buildings, mostly laid out by hand. Ben Loch, CG Supervisor lead his team for an entirely CG Asgard environment. Framestore also created The Incredible Hulk in the leadership of VFX Supervisor Alexis Wajsbrot. Animators brought Hulk to life through keyframe animation. For Hulk’s facial performance, the artists used the blend shapes supplied from past films, enhanced by dynamic simulations. A collaboration with Marvel’s ‘Hulk specialist’, concept artist Ryan Meinerding, helped to inform the subtleties of his facial expressions. ‘We actually redesigned our shot-sculpt pipeline in order to have maximum control and to be able to be very reactive to this feedback’, adds Wajsbrot.